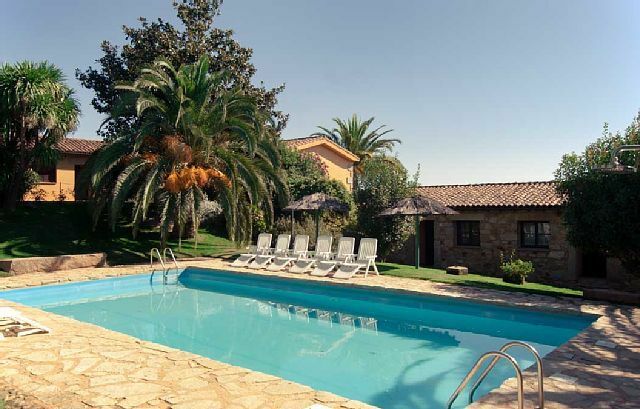 El Calambuco is a rural accommodation company in the town of Villanueva de la Vera, right in heart of one of the pioneering areas of tourism development in the region. We are 1,5 km. away from Villanueva de la Vera, which is full of historical monuments. This adds to a tourism of quality, of visitors who are interested in respecting the surrounding environment, nature lovers, observers of the variables that make this area a place of relaxation and an encounter with traditional ways of life in a mountain setting. The views over the Tietar Valley and Southern slopes of Gredos are absolutely breathtaking. The Vera region, because of its scenery and climate, is a place where the possibilities for leisure and visiting nature have become a way of life.